Whether you love to do laundry or you despise it, it has to be done. Even if you like doing laundry, it still takes time and energy, and most people don’t have much of either. Of all the household chores we do, laundry is one of the most difficult chores of all time. Dealing with stains and odors, shrinkage, fading and color bleeds, clothes need a lot of attention to keep them clean and looking good. 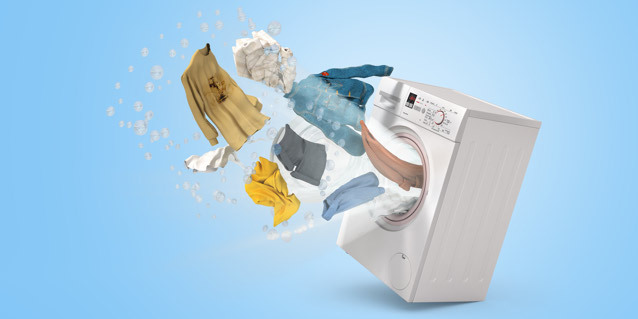 If you’re looking for some awesome laundry tips brought to you by Washing Machine Repair Singapore to help make doing laundry easier and more efficient; keep reading to see what simple tricks will help you out in the laundry room and make your life easier. If you have ever taken your clothes out of the wash and had clumps of powdered detergent stuck to your sweater or streaked through your favorite jeans, it’s probably because your detergent had not fully dissolved before you added your clothes. The same can happen with liquid detergent. If you pour your detergent over your clothes thinking it’ll dissolve just fine, only to find blue spots on your white shirt after-the-fact, then you are adding your detergent at the wrong time. Add your detergent while your tub is filling and let it dissolve completely before adding your clothes to the washing machine. This will save having to rewash items, or possibly staining them with liquid detergent. One big mistake people make is to take off a stained shirt or pair of pants and throw it in the hamper thinking they’ll get to it later. Waiting till later, however, means that stain is there to stay. As soon as you realize you stained your shirt, tie, shorts or pants, soak the item right away before the stain has a chance to set in. If you’re out and about and can’t soak your stain, apply water as soon as possible and gently rub as much of the stain out. Club soda is preferable, but water will help it not to set in better than doing nothing at all. First chance you get, rub a stain remover on the stained garment and let it soak for a while before putting it in the washing machine and washing it. Every so often you know those sneakers need a good wash but you dread putting them in the dryer because all they’re going to do is bang around in the drum and possibly ruin it. Here’s a trick to get your sneakers dry in the dryer without the loud banging and clanging or damage to the drum. Tie your sneakers together with the laces in a knot. Open the dryer door and hold the knot above the door and close it so that the sneakers are hanging, just inside the door and the knotted laces are outside and above the door. Turn the dryer on and your sneakers remain still and quiet while drying. There’s nothing more disappointing than pulling your favorite sweater out of the dryer and find that it’s shrunk to half the size. When this happens, try this: You’ll need two bath sized towels and baby shampoo. Soak the shrunk item in a sink or tub of lukewarm water along with a capful baby shampoo. Thoroughly work the solution through the fibers to relax them. Lay one bath towel out on a table. Gently squeeze the water out of your clothing item (don’t wring it) and lay your item out on the towel. Now roll-up the towel with the clothing item in it. This is just to help absorb the water. Take your second towel and lay it out flat on a table or the floor. Lay your clothing item on it while gently reshaping it. It will stay there to dry. You may want to put a fan in front of it to speed it up, since this may take a few times of repeating these steps to get it back to its original shape. You do not want to wash in the washing machine during this process to remove the baby shampoo. It’s gentle and won’t be noticeable, so no need to wash until the next time it needs it. But remember to skip the dryer next time. Let’s face it, eventually those clean towels we use every day to dry off our clean bodies, begin to lose their fluff and, well…stink. If you want to put the fluff back in your towels and get the stink out. Here’s how: What you’ll need is vinegar and baking soda. First step is to wash your load of towels in the washing machine in vinegar. Don’t dry them in the dryer, afterwards, but put them back in the wash and this time, wash them in baking soda. Your towels will be softer and fresher and you won’t have to run out and buy all new bath towels.